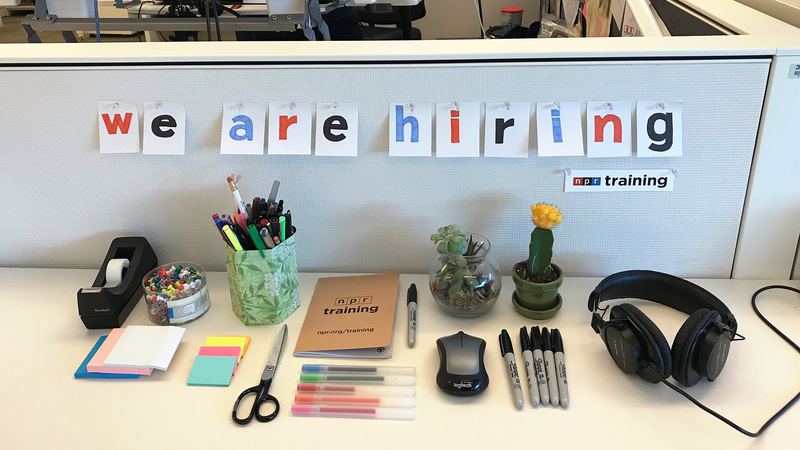 The NPR Training team is seeking an experienced journalist who is passionate about exploring the many places where audiences and content intersect. We are looking for someone who is a strong editor and content strategist, loves creating things and delights in leading other journalists to breakthrough moments. You will direct the digital presence of NPR Training, including the newsletter, social channels, and npr.org/training, a premier journalism training resource. You’ll also train journalists of all levels, from interns to veteran reporters, producers and editors, at member stations and at NPR. Through one-on-one and group sessions, conference workshops and publishing content to the training site, you’ll have an opportunity to become a leading voice on best practices in digital journalism. Come join a creative, enterprising team that thrives on individual expertise and a collaborative spirit. We focus on audio and digital storytelling, editing, audio production, design thinking, diversity, leadership and more. We are dedicated to creating a culture of journalistic excellence through reflection, experimentation and continuous learning. Learn more about our team and how we’re growing. Professional experience with publishing, project management and analytics tools like WordPress, Tweetdeck, Trello, Google Analytics, Chartbeat, etc. Familiarity with ‘Agile’ product development methodology. Describe a digital editorial project that you lead or significantly help to shape. What was your strategy? The NPR Training team is based in the newsroom, but we’re not the people making the content you hear/read/watch. What appeals to you about the team’s work? What’s one of the most pressing training needs in digital storytelling today? Describe one way you apply audience-centered thinking in your work. What is something you would like us to know that we wouldn’t ordinarily get from a resume or cover letter?